Bedroom Taboo is an Online Intimacy Retail Specialist since 2013. Giving you more of an intimate shopping experience. Secure Shopping, Discreet Delivery, Seductively Satisfied. Every month there are lovely goodies on offer for you. And we add to these during the month as well! So keep your eyes peeled on our social media pages to catch even more deals. More sales are added weekly so ensure you are following us on Social Media or check our sale items in the sidebar. Enjoy browsing through our wide range of products, easy checkout and discreet delivery. That means if your neighbour takes your order when you are not in, they will never know! And free batteries for products that require them!! 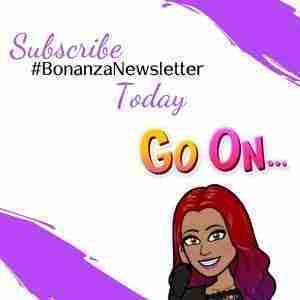 As a #BonanzaNewsletter subscriber, you get to see what offers we have for the month coming up and Exclusives just for our subscribers. Ensure you sign up to never miss out! Want to order regularly? Not a problem. Work in the adult industry? Contact us today to get a discount on your essentials. Legal	Built with Storefront & WooCommerce. This website is for 18+ Only. This website contains intimate material and is not suitable for those under the age of 18.